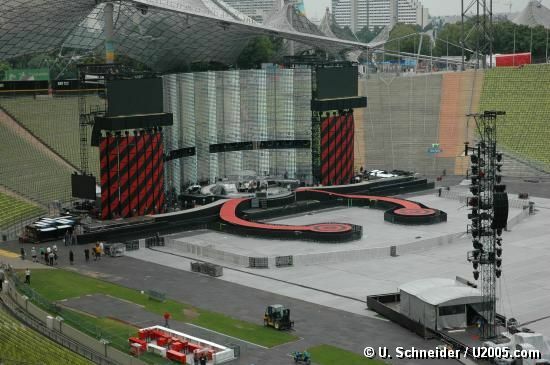 Today, our friend Uli spent some time inside the Olympic Stadium in Munich and tooksome pictures of the stage. You'll find them with a click on the picture below. BTW, it's raining cats and dogs here. Let's hope for better weather tomorrow.